Information on our program, for 2017, is consistently being updated by our Patrol Leaders in consultation with our Scout Leader, please visit the Scout calendar and take note of any notices below for upcoming events . 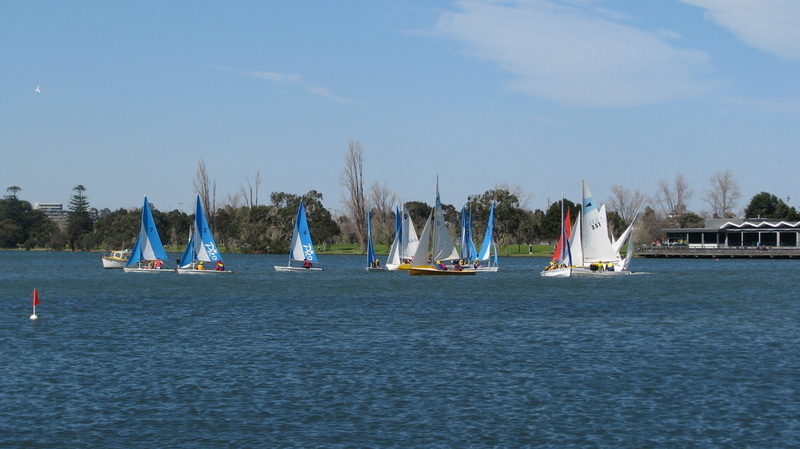 Most Sunday afternoons our hall is open from 2pm until 5pm for any family member of the Cubs, Scouts or Venturers including parents that want to take advantage of our great facilities or simply gain more practice sailing, rowing or kayaking around Albert Park Lake. Cubs and Scouts participating in the Admiral Napier Cup 2014.